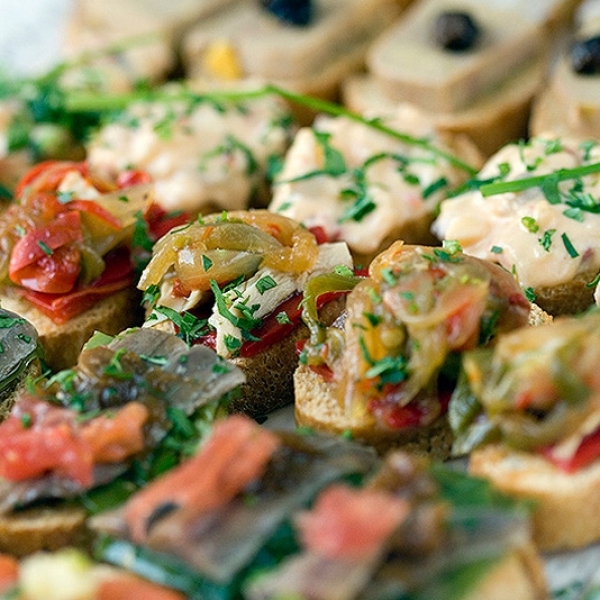 The best of Basque cuisine in your hand. 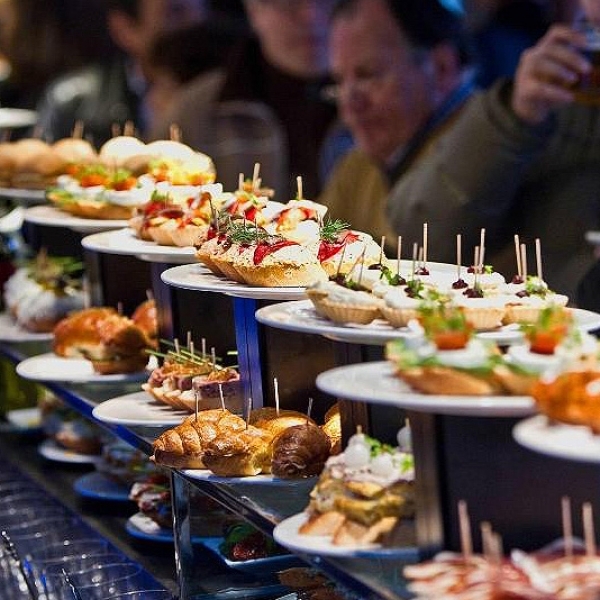 Taste the pintxos of the moment in the best bars of the city. 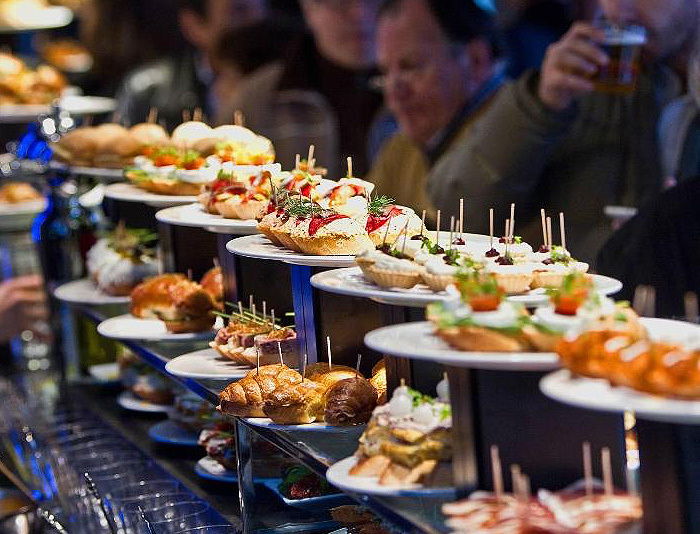 ‘Pintxo’s: the equivalent of “finger food”, with a great deal more panache and style!! 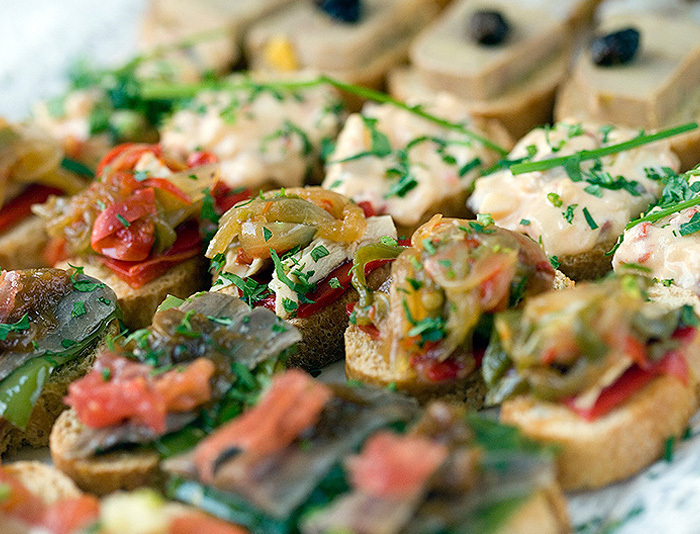 This tour will take your taste buds on a gastronomic adventure, to say the least. 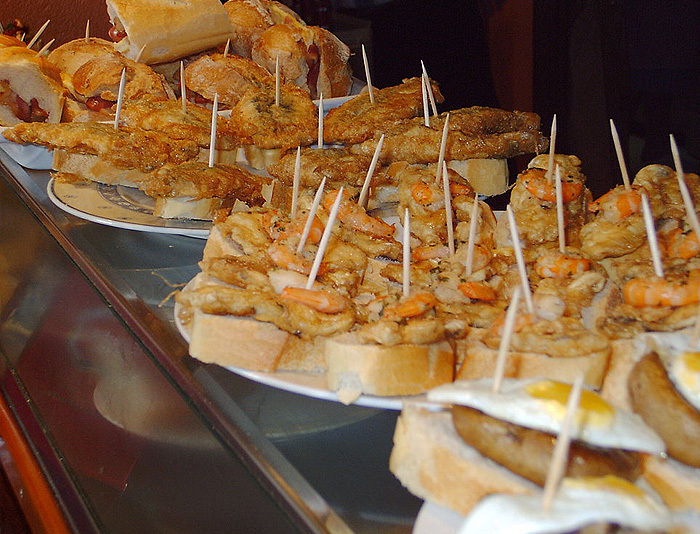 Imagine enjoying this Basque tradition – tasting the best pintxos on the narrow authentic streets in Bilbaos Old Quarter and washing them down with a glass of locally grown “txakoli “(wine), not to mention the famous “txikiteo” ( bar hopping to taste the local fare). 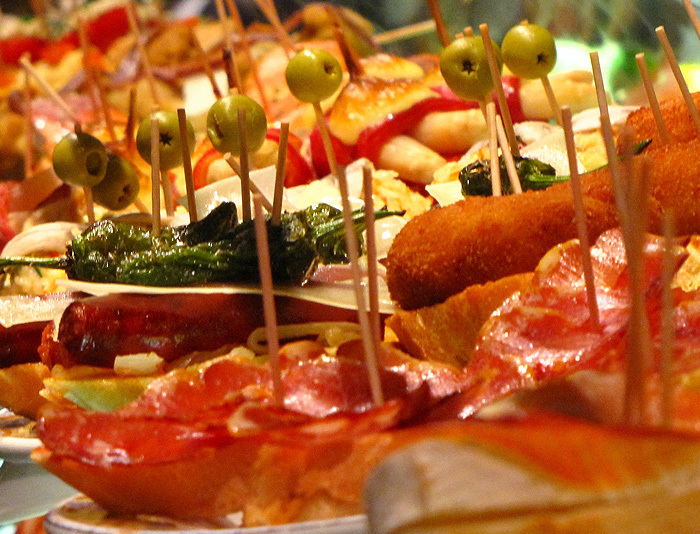 Bring your camera, as the selection of pintxos are not only delicious but the display of this cusine in miniature form is truly a colorful work of art. 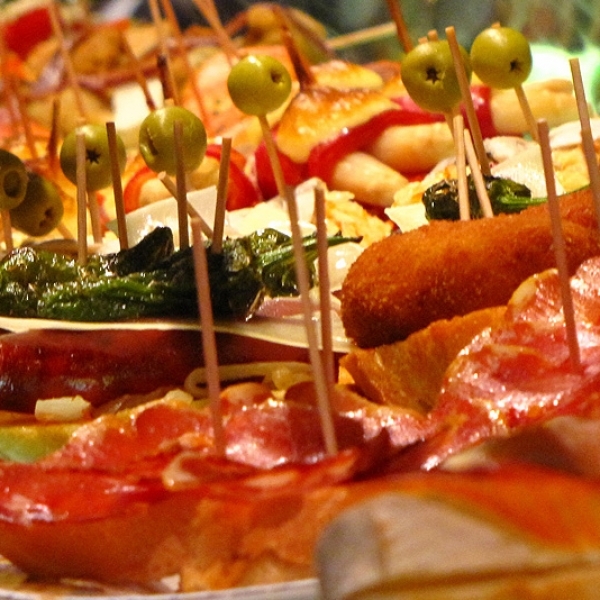 This is a walking tour which is done at a very relaxed pace. We advise to wear confortable shoes. 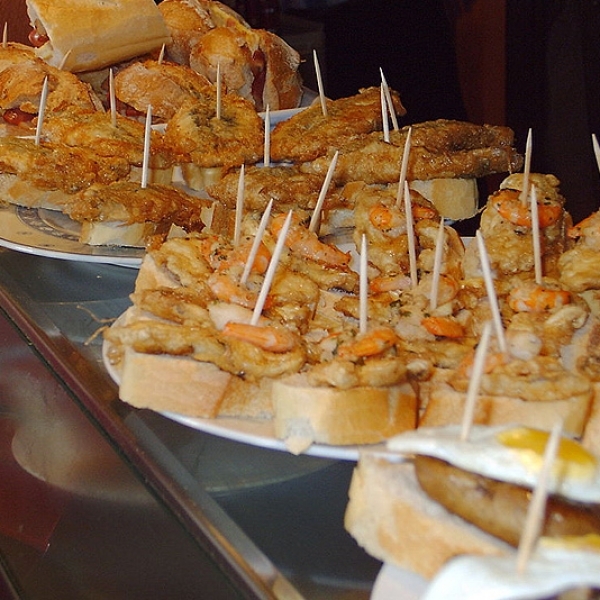 We start by meeting in the Arriaga Plaza and wander through the seven streets of the old town. 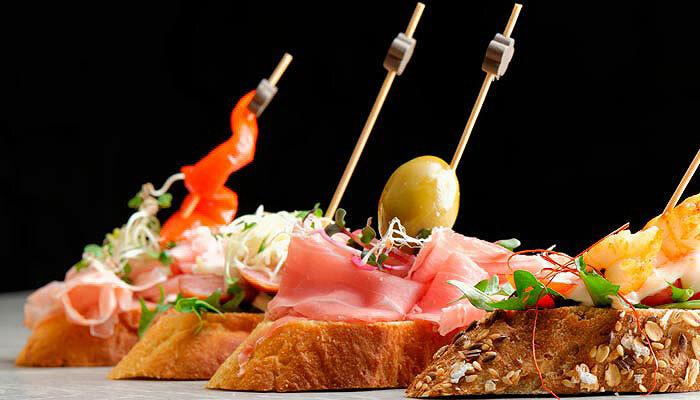 We visit the Plaza Nueva, the Santiago cathedral and then visit two or three different bars to experience the pintxos and drinks Basque style. 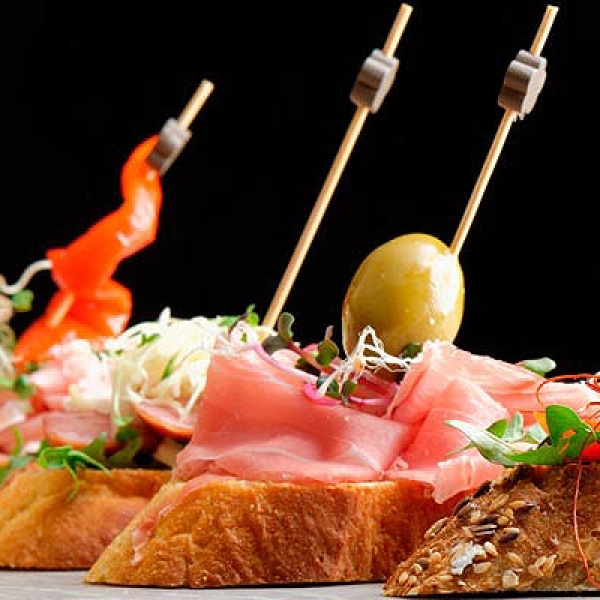 This tour will end in the old town and leave you to continue your ‘txikiteo’ (bar hop) or whatever else you may like to do.